No matter how much you want to teach and no matter how well prepared you are, beginning teaching is tough. A teacher’s work is never done; even when you work hard, there is always something more you could do. Become the Primary Teacher Everyone Wants to Have tells you what teaching is really like. Integrating Life, Teaching and Learning. This book will be an invaluable guide for newly qualified and experienced teachers alike who are wanting to develop their practice and thrive in teaching. 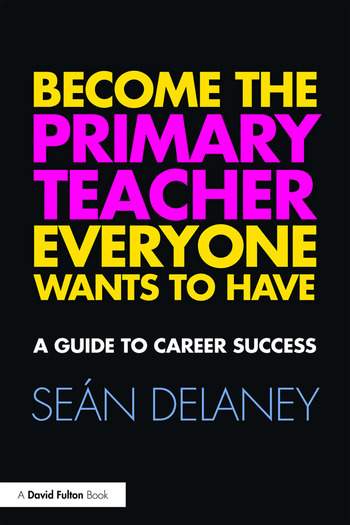 Seán Delaney spent 11 years teaching in primary schools in Ireland before completing a PhD in Teaching and Teacher Education at the University of Michigan, USA, in 2008. Since then he has held positions as Senior Lecturer (teaching and learning and mathematics education) and Registrar at the Marino Institute of Education, Dublin, Ireland. He presents a weekly radio programme about education on community radio station 103.2 Dublin City FM and blogs at seandelaney.com.